The Sigelei Fuchai Squonk 213 is everything you ask for and more out of a squonker, with a feature list as long as your arm and some features that put it in a class all of its own. It’s not just a bottom feeder, it’s a regular box mod too, one that can run on 3 types of batteries and hit some pretty decent wattages on a single cell too!! The Sigelei Fuchai Squonk 213 150W TC Starter Kit is built for high performance with 5mL bottom-feeding, squonk bottle section and the use of a single battery compatible with 18650, 20700, or 21700 platforms. The Fuchai Squonk 213 is beautifully constructed with design inspirations from the original Fuchai 213, with a soft curve for a comfortable in-hand while offering a lightweight aluminum alloy material for durability factor. The 0.96 "OLED screen features a full-color TFT display matrix, providing a full amount of operational data at a glance, working in synergy with the two adjustment buttons placed adjacent to the display for premier operational usage. 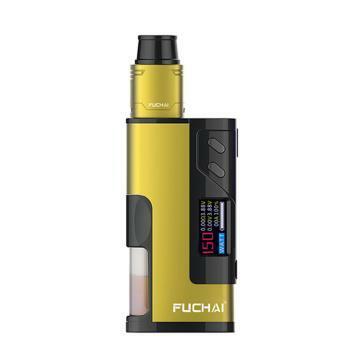 A continued advancement in chipset technology, the Fuchai Squonk 213 integrates a powerful chipset capable of firing up to 150W with temperature control settings such as TCR and TFR adjustments within 5 Coil Memory Bank or opt in for the new Voltage Mode. The Sigelei Squonk 213 uses a single 18650, 20700, or 21700 battery (sold separately) for a versatile range of battery options and capacity. Included with the device is the new Cubic 22mm RDA, implementing a standard two-post, dual terminal designs with ample side airflow delivery for fantastic pairing when driven at high-performance I have been using it for a week and the truth is, I was surprised by the ease of use and its good performance of this electronic cigarette. the amount of steam that it produces is surprising and the flavor is surprising. Personally, I liked the design of this, because you have very good air outlets, so there is no problem with the batteries, in the rda, the air intakes are very large, which implies that the steam production is very large. Something that stands out is the color and especially how resistant is the paint. The service offered by Bestbuy is excellent, since the shipments arrive in the expected time, in addition, it has all the guarantees. I've been following this page from the beginning. I've been asking around the forums and they told me this is the cheapest and the best page coming from China and sending shipments all over the world, even the shipping is free after 20$ order.I've been buying on this page multiple times, and it's always been their product 1/1. Even when I had a problem with one of the mods, they refunded half the money and they were fair and correct. I follow this page every day. Not so long ago I tracked down this squonker, Shigelei Fuchai 213 ,and I thought, 'Why don't you buy yourself this mod kit for a super price' . The cost of this mod is anywhere 50 to 60 bucks while I've bought this product for $28 on BuyBest. The shipping was super fast, in 16 days it came to my country. That's pretty cool and fast for the shipments coming to my country. I took over the shipment this morning, made build in it and poured the liquid, and I'm satisfied with it so much. 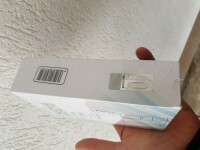 No damage to the box, wrapping or on the mod kit itself. This page would be recommended to everyone for the couple of reasons: - they have every 3 days Flash Sale - great quality of the devices - good customer support - and what's most important is great prices. Buybest is a page I'll always come back to. great flavour, good looking, built well, 21700 or 18650, 150W, good capacity, lightweight The battery carrier is very easy to handle and understandable. Everything is right from the design. Has become my everyday device. Do what he should. I use this squonk kit to attend parties, walking or hiking. All goes well by now. 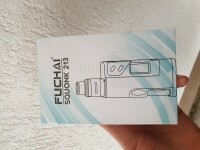 Here comes the Sigelei Fuchai Squonk 213 150W TC Kit! It is powered by a single 21700 battery and fires up to 150W max output with strong TC/VW modes. What’s more, Fuchai Squonk 213 is also compatible with 20700 or 18650 battery with a battery adapter. Moreover, Squonk 213 MOD features a 0.96 inch TFT screen to show clear vaping data with easy operation buttons. While the pocket size Cubic RDA is an easy rebuildable tank with deep juice well for large storage and adjustable bottom airflow for precise air flow. In a word, Consisting of Fuchai Squonk 213 150W TC MOD and unique Cubic RDA, Fuchai Squonk RDA 213 will never let you down. • No battery included. You can buy 21700/20700/18650 battery separately. The adaptor is included. • We provide Wire, Wick & Tool for rebuildable tanks.